In an effort to meet the requirements of an unnecessary and restrictive TRAP ordinance passed in Virginia requiring abortion clinics to be regulated as Ambulatory Surgical Facilities, the NOVA Women’s Healthcare clinic in Fairfax, Va., applied to the City Council to move to a new location and retrofit it to meet the new specification. In response, the Fairfax City Council began looking into their own zoning regulations, and those of nearby towns, in an attempt to reclassify abortion clinics. They ultimately voted to create a new category of “medical care facility,” meaning that abortion clinics will need to obtain a special use permit at a cost of $4,800 and go through a detailed approval process requiring approval from the City Council to pass. NOVA Women’s Healthcare’s permit was denied and the clinic closed in June 2013. 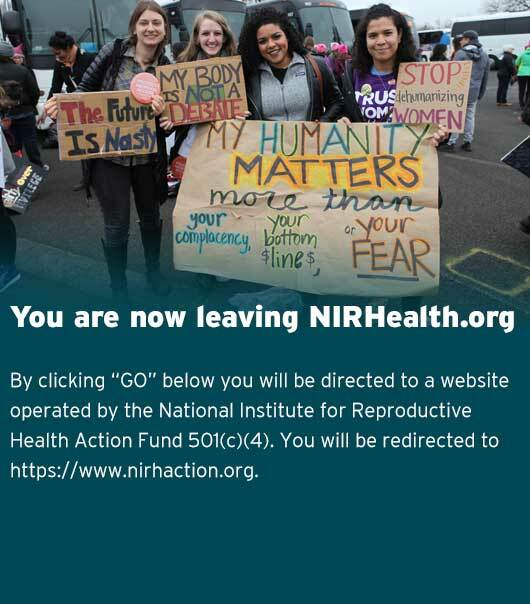 Read about the closing of NOVA Women’s Healthcare. In February 2014, Manassas, Va., City Councilman Marc Aveni proposed a change to the city’s zoning ordinance that would require new clinics to apply for a “special use permit”. This change would have singled out abortion clinics by rezoning them in such a way that, in order to open, they would need a “special use permit” subject to public hearings and city council approval. The City Council instead approved a motion asking city staff to research the issue and report back in March. At the March meeting, the Manassas Department of Community Development recommended that the City Council deny the changes and proceed with already-laid plans to conduct a comprehensive review of the city’s zoning code. They also noted that the specific change proposed by Councilman Aveni should not be approved because of its potential impact on a constitutionally-protected right. After hearing testimony from many people on both sides of the debate, the City Council voted to reject the measure, 4-2, and proceed with the planned review of the zoning code. In the spring of 2015, Planned Parenthood finished construction on a health center in El Centro, Calif., in the southeast corner of the state near the Mexican border. When the facility applied for a standard transfer agreement with the El Centro Regional Medical Center, a hospital owned by the city, hundreds of anti-choice activists protested outside the hospital’s board meeting, demanding that the transfer agreement be denied. In response, the city commissioned an independent review to investigate the agreement’s legality, which found that El Centro Regional Medical Center had no legal right to deny a transfer agreement. More than 2,000 anti-choice protestors, supported by National Right to Life and cheered on by anti-choice leaders like Michele Bachman and Alveda King, then attended a City Council hearing to demand that the Council take control of the hospital’s decision and deny the transfer agreement. The City Council resisted the pressure, citing the results of the legal review and state law that protects access to abortion, and upheld the transfer agreement. However, just before the health center was set to open in early April, El Centro’s Fire Chief reclassified the building as an outpatient surgery center and denied it fire clearance, stating that the building needed to meet more burdensome safety standards. Planned Parenthood, pointing out that no other abortion clinic in the state was required to meet such burdensome requirements, threatened to file a lawsuit against Fire Chief Hubert and the City of El Centro. On May 5, several weeks after the planned opening, city officials granted the facility a temporary occupancy permit, enabling it to open with limited hours to provide family planning services, excluding abortion. A week later, just before Planned Parenthood filed their lawsuit, the City issued clearance for the clinic to fully open. While their fire clearance is still subject to a final review from the State, Planned Parenthood of El Centro will begin offering abortion services as soon as it receives its license from the California Department of Public Health. Visit the health center’s website here.